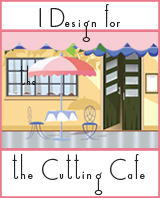 It is Wednesday and time for another Cutting Cafe design team project. This week’s theme…Father’s Day of course. We had wonderful files to work with this week. 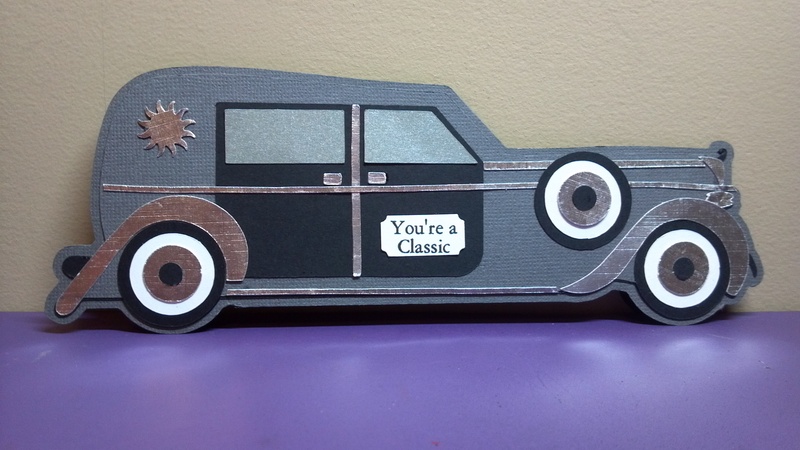 I chose to use the new Classic Car Shaped Card and it was so much fun to do! I absolutely love the shaped of the card, and all the trim that comes in the file. I chose to use silver metallic paper for all of the chrome and I added white-walled tires! The possibilities are endless with this file because there are so many pieces. The other files we could use were the Shirt and Tie Cutting File Template Shaped Card, and the Cruisin’ by to Say Hi Car Set Printable Stamps. Be sure to stop by The Cutting Cafe Blog every Wednesday afternoon to see all of the design team projects. If you leave a comment, you will be eligible to win three free files in the next week’s drawing! Thanks for stopping by! ← My First Mixed Media Canvas! Love the chrome details. Your card came out beautifully.